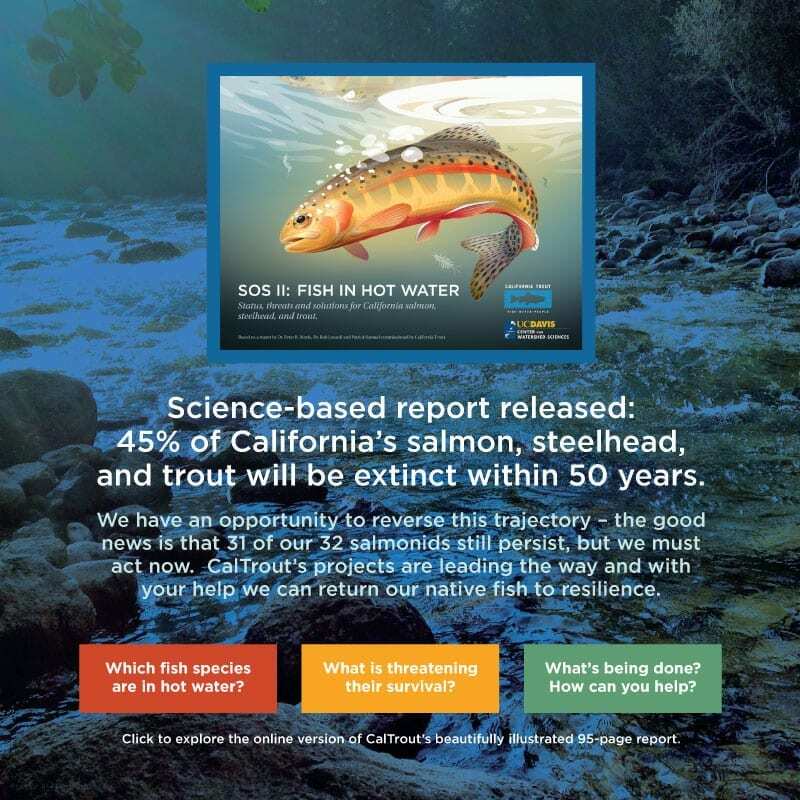 Staff | California Trout, Inc. 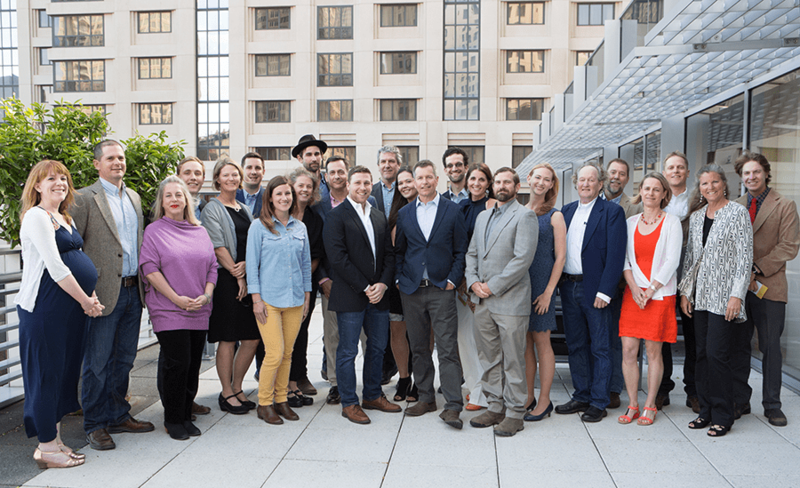 The CalTrout team at our 18th Annual Gala in May 2017. 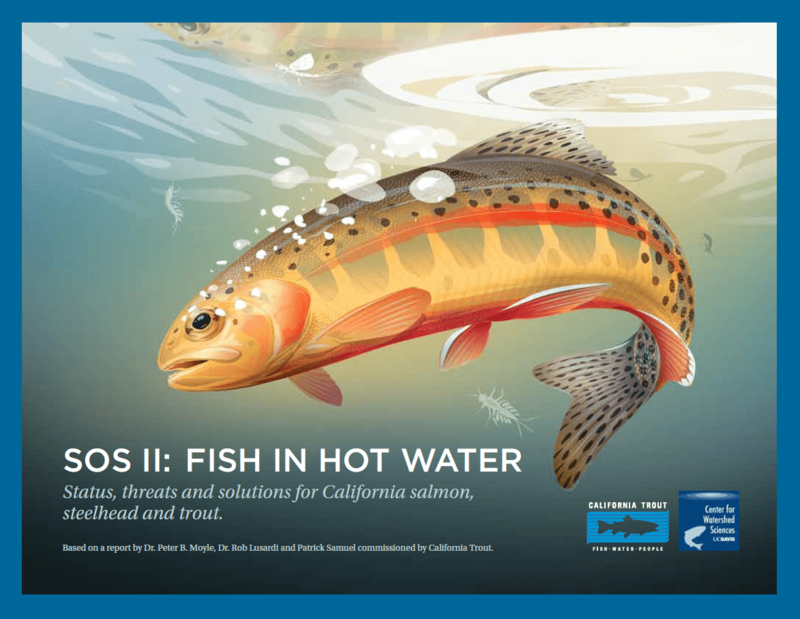 Curtis has worked for CalTrout since 2000. His passion for all things water led him to pursue a masters degree in Fisheries from Utah State University. 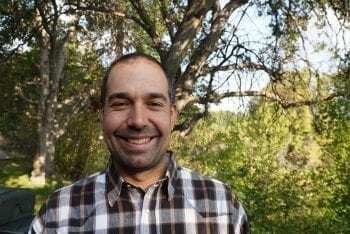 His first job out of graduate school was with the The Nature Conservancy living and working at the McCloud River Preserve where in between hatches he successfully finished his thesis. 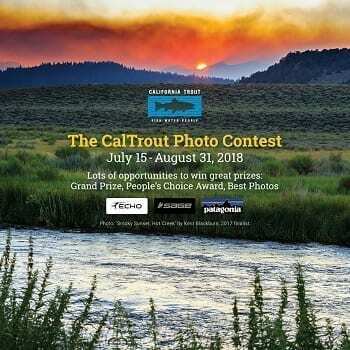 When he is not canvasing California for CalTrout, he lives in Mt. Shasta with his wife Amy and their two daughters Greta and Isabel. Darren has a Masters Degree in Fisheries Biology from Humboldt State University and joined CalTrout in 2011. 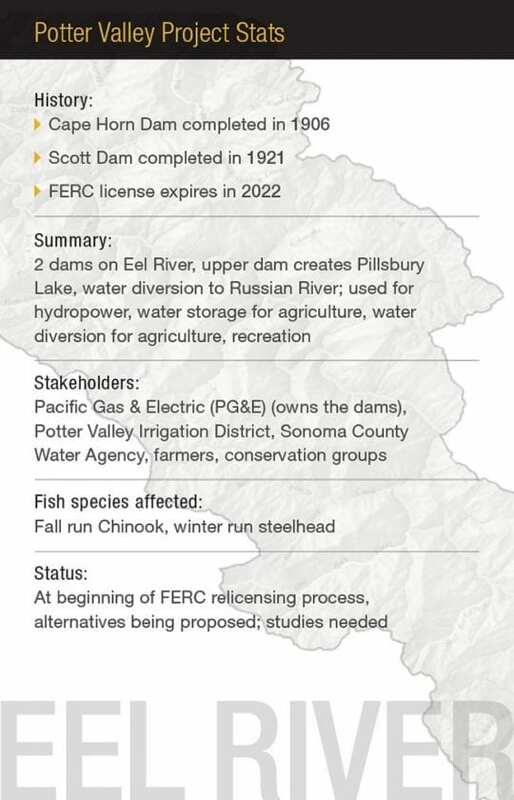 Before joining the organization, Mierau worked on numerous North Coast projects as a local watershed restoration scientist with McBain and Trush, Inc. Darren is currently directing, among other projects, the Eel River Recovery Keystone Initiative, the organization’s largest endeavor to date. He lives in Arcata with his wife and two sons. 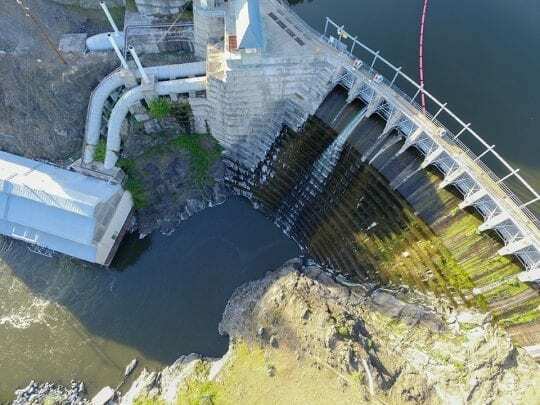 Andrew Braugh oversees a portfolio of conservation programs focused on recovering mid-Klamath Basin salmon and steelhead and improving water management practices on agricultural lands in Siskiyou County. Andrew holds an M.A. degree in International Management and Public Administration from the Middlebury Institute of International Studies and is currently a candidate for a Master of Business Administration from Southern Oregon University. 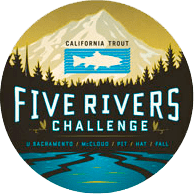 He sits on the board of directors for the Fall River Conservancy where he coordinates a multi-stakeholder partnership committed to protecting California’s largest spring-fed river. Jacob was born with gills. Fascinated with what happened below the water line he grew up chasing fish in every creek, puddle, river and pond he could find. Jacob earned his Ph.D. in ecology at the UC Davis Center for Watershed Sciences with Dr. Peter Moyle. 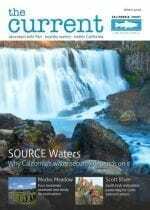 He directs CalTrout’s Central California region where his work focuses on redesigning California’s antiquated water infrastructure. 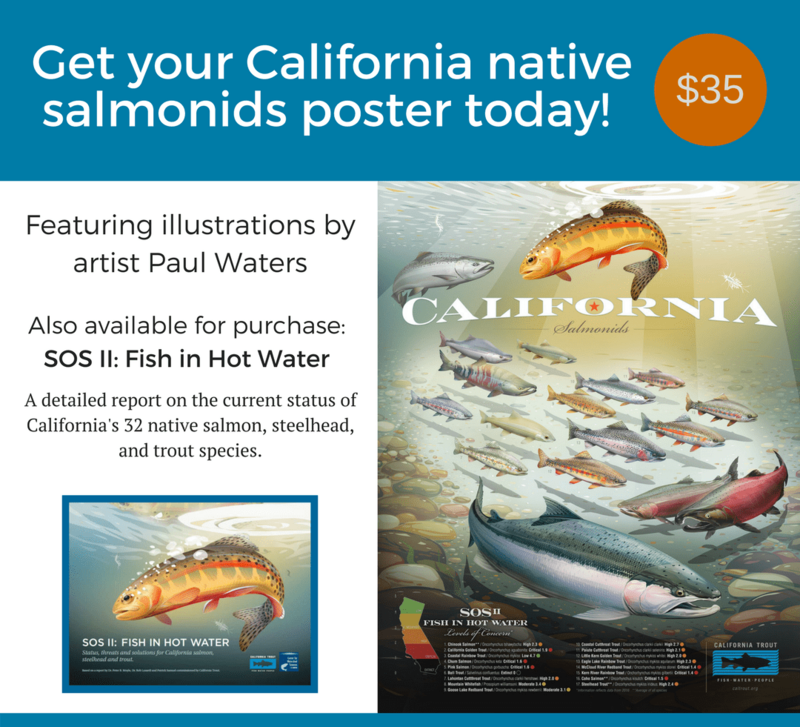 Patrick has been with CalTrout since 2014 and was one of the lead authors of the 2017 State of the Salmonids II: Fish in Hot Water report. 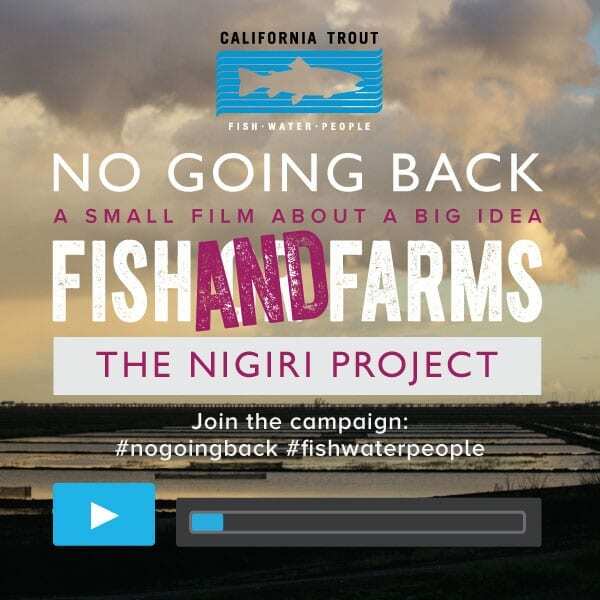 Prior to joining CalTrout, Patrick worked with the Fisheries Leadership & Sustainability Forum as well as the NOAA Fisheries Protected Resources Division in Sacramento. 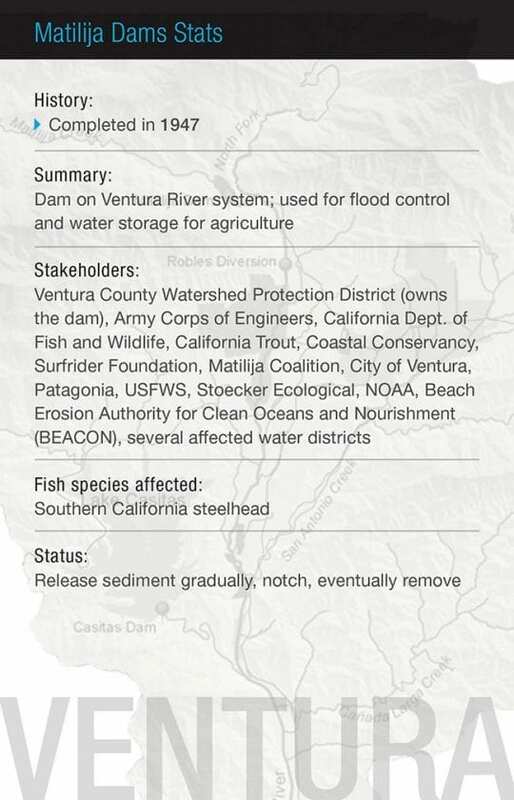 Sandra has been with CalTrout since 2014 working with the South Coast Steelhead Coalition participants to recover endangered steelhead and restore their habitat in Southern California. With a doctorate in genetics and a penchant toward science-based conservation, she brings to this conservation effort a background in experimental and applied biology, strategic planning and project management in academics and industrial R&D. 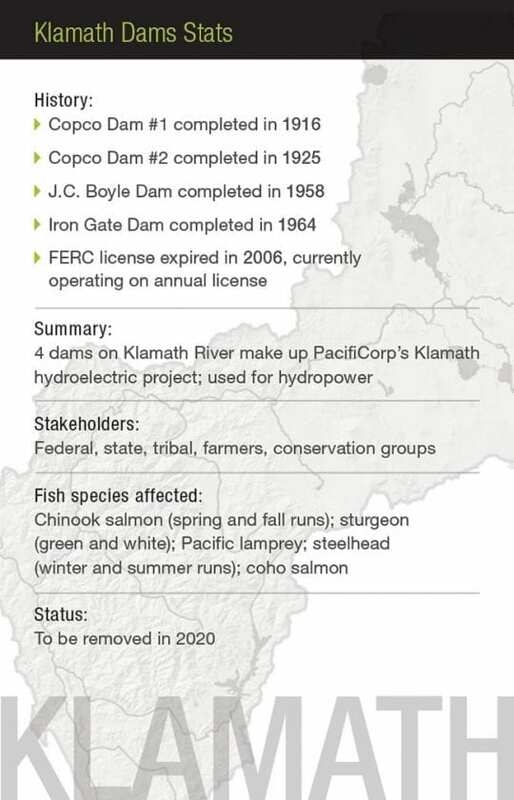 Mary is the North Coast project manager for projects on the Eel River, Mad River and Prairie Creek. 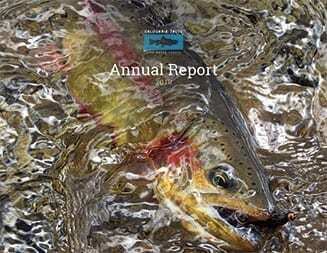 In addition, Mary coordinates the CalTrout-organized Eel River Forum, a group formed to promote salmonid and ecosystem recovery of the Eel River. Ms. Burke has a M.S. degree from Humboldt State University where she gained experience and interest in freshwater and tidal wetland function for water quality and habitat benefits. 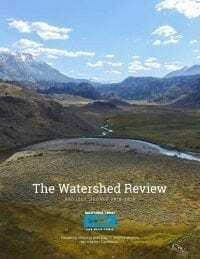 Janet is involved in several meadow restoration and upper watershed protection projects to improve the functionality and health of Sierra watersheds. When not working feverishly to restore and preserve her beloved Sierra backyard, you can find her paddling remote rivers throughout the West or in her garden with her chickens. 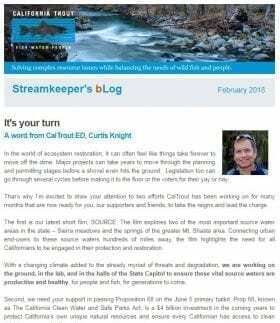 Eric Huber is California Trout’s Regional Director for the Sierra Headwaters Region. He recently graduated from UC Berkeley’s doctoral program in Environmental Science, Policy, and Management. In his spare time, Eric enjoys outdoor exploration by foot and bicycle. His long-distance travels include partial hikes of the Appalachian and Pacific Crest Trails and bicycle tours through 25 US states, both islands of New Zealand, and portions of Mexico, Canada, and Australia. He considers the Sierra Nevada mountains his favorite place on earth and is happy to be ‘home’.